As your family has grown and your living situation has changed, the amount of available space within your residence has become a priority. Instead of moving to a new property, there is a great option available to you to provide for your unique needs. At Magnum Contracting Group, our builders and roofing contractors can expand your property through room additions and house extensions in Long Island. Adding new living space to your property vastly improves how you and your family use and enjoy your home. Our Long Island remodeling contractors would be honored to assist you with the effort. 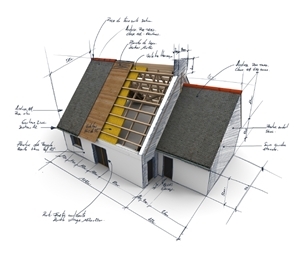 We can handle any type of home addition or extension project that you have in mind. At all phases of the effort, our team will seek to provide you with the most customized and highest quality construction and remodeling services possible. 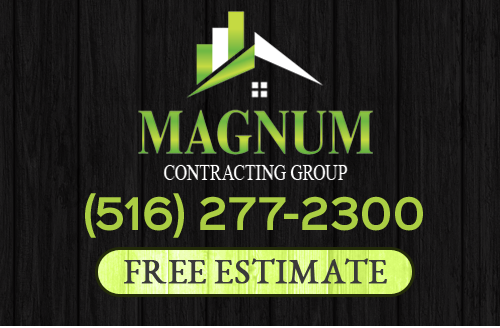 Call Magnum Contracting Group today if you are interested in constructing a room addition or house extension in Long Island. Our polite and professional staff is eager to assist you with the effort. Our knowledgeable experts would be glad to answer any questions that you may have about your prospective project or our exceptional home renovation services. We can schedule your consultation today. In your kitchen, storage is just as important if not more important than the appliances you have. If your kitchen is cluttered and disorganized, it is very hard to conduct your everyday cooking and cleaning tasks in an effective and efficient manner. Likewise, if your bathrooms or bedrooms are too small, they cannot be put to the best possible use. The solution to these needs for more space is simple. Your can embark upon a home extension project that will truly enhance how you use the available area. Our Long Island remodeling contractors specialize in these unique efforts. We can consult with you in order to determine the best ways to improve every area of your home. Our contractors can then design, construct, and finish a home extension that will provide for all of your unique needs and goals. You and your family will be stunned by the remarkable and rewarding results. If you need an entirely new room for your Long Island home, our remodeling and roofing contractors in Long Island can accommodate you. We can provide you with a new bedroom, bathroom, kitchen, entertainment area, or storage space. Your new home addition will add long-term value and enjoyment to your property. It will also improve the look of your home's exterior. If you would like an estimate for room additions or house extensions in Long Island, please call 516-277-2300 or complete our online request form.